Minnesota-Duluth entered the NCAA Tournament just five games over .500 but pulled off four straight one-goal wins to earn its second Division I title. And the goalie that was in net for every minute of the Bulldogs’ playoff run, Hunter Shepard, returns for his junior season. NCAA titles: 2 (2011, 2018). COACH: Scott Sandelin (340-300-85 in 18 seasons). RINK (capacity): Amsoil Arena (6,726). MIAMI VS. UMD LAST SEASON: 1-3. ALL-TIME SERIES: Minn.-Duluth leads, 15-4-2. SCHEDULE VS. MIAMI: Jan. 18-19 – at Miami; March 1-2 – at Minn.-Duluth. TOP RETURNING PLAYERS: G Hunter Shepard, F Parker Mackay, D Scott Perunovich, D Nick Wolff, F Riley Tufte, D Mikey Anderson, D Dylan Samberg, F Peter Krieger, F Joey Anderson. KEY NEW FACES: F Jackson Cates, F Noah Cates, F Cole Koepke. NOTES: A couple of pieces may be gone from last season’s championship team, but Minn.-Duluth’s back end looks as good as any in college hockey. Shepard logged 41 games and posted a 1.91 goals-against average and a save percentage of .925, and four returning defenseman recorded at least 13 points in 2017-18. Shepard was second in Division I with 25 wins, 10th in save percentage and sixth in GAA. He won all four of the Bulldogs’ NCAA Tournament games this spring. Blueliner Scott Perunovich led the team in plus-minus (22), assists (25) and points (36), and Mikey Anderson went 5-18-23. Nick Wolff and Dylan Samberg finished with 13 points apiece, with Wolff hitting the net seven times and leading the Bulldogs with 81 penalty minutes. Wolff and Samberg combined for 150 blocked shots. Minn.-Duluth brings all that experience back after allowing just 2.09 goals per game last season – the fourth-best clip in the NCAA – and surrendering just 57 even strength tallies. UMD also returns its top three points-producing forwards from its title year. Peter Krieger led all forwards with 30 points and netted a team-best five game-winning goals. Riley Tufte finished with 29 points including a Bulldogs-high 16 markers, and Nick Swaney went 6-16-22, posting a plus-11 rating. Newly-named captain Parker Mackay is also back and is a two-way stud up front. The Bulldogs still have not released their 2018-19 roster, so it’s unclear how many freshmen they will bring in, but three players from that incoming class participated in NHL development camps this summer – Cole Koepke, Noah Cates and Jackson Cates. NOTE: BoB is previewing each NCHC team leading into the 2018-19 season. This is the third of seven installments. 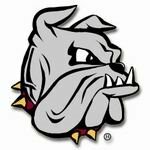 Posted on August 30, 2018, in 2018-19, Uncategorized, University of Minnesota-Duluth and tagged 2018-19 nchc preview, Minnesota-Duluth Bulldogs, NCHC. Bookmark the permalink. 3 Comments.